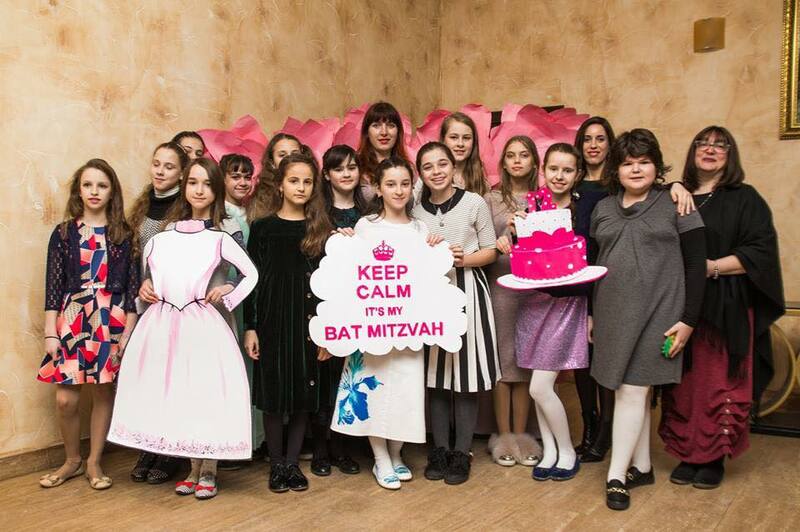 Fourteen Jewish teenage girls, studying in the 6th grade of FJC’s ‘Or Avner’ Jewish school in Odessa, celebrated their Bat-Mitzvah – the Jewish coming-of-age 12th birthday, at a special event organized by the local Jewish community. This was a joyous celebration, where the birthday girls danced, sang and learned to make hand-made chalah covers with their mothers. The girls also received special diplomas from their school teachers and community leaders. “Bat Mitzvah is celebrated at the age of 12, at a point when, according to the Jewish tradition, girls begin to assume responsibility for their actions and words,” said Mrs. Ester Kirzhner, the Jewish tradition teacher at the school. She was followed by Mrs. Chaya Wolf, one of the heads of the Odessa Jewish community. “We wish our birthday girls much courage, perseverance, and strength in choosing the right path and will try to help them in that as much as possible,” she said. And of course what birthday would be complete without a festive meal and topped with a cake! “The birthday evening was a warm, memorable and truly happy event,” said one of the birthday girls, Bina, in an interview to the local Jewish news channel.